Pat Quinn was in Independence Park on July 4, 2016 collecting signatures for a referendum to limit Chicago mayors to only two terms in office. CHICAGO (WLS) -- Former Illinois Gov. Pat Quinn devoted part his July 4 holiday to his effort to limit how long Chicago's mayor can serve. 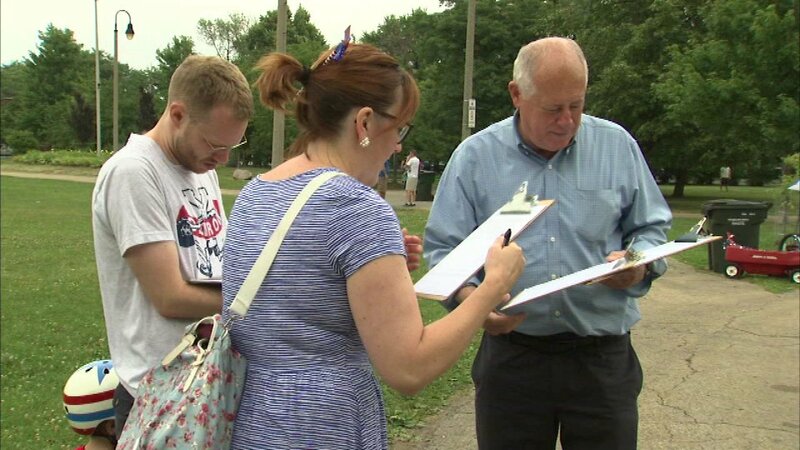 He gathered signatures on Monday at Chicago's Independence Park for a referendum he's hoping to get on the ballot in November. He wants to limit future Chicago mayors to just two terms. Also, he's hoping to create an elected consumer advocate for taxpayers.